Carlos Manuel Pascuali obituary. Carnes Funeral Home. Carlos Manuel Pascuali Torres was born in Cayey, Puerto Rico on December 1, 1947. He passed away Tuesday, September 2, 2014 at the age of sixty-six years in Santa Fe,Texas. Carlos was a longtime resident of Santa Fe, Texas and charter member of the American Legion Hall Association, National Rifle Association, and the National Sheriff's Association. He served his country in the United States Army. He was not a carpenter, but loved doing little projects around the house. Carlos enjoyed going to the Casino's with his lovely bride of forty-eight years. He loved watching movies, tv, and playing games on his Ipad, but his greatest joy was when he spent time with each individual grandchild. 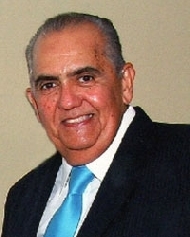 Carlos is survived by loving wife of forty-eight years, Adelina Cancel Ojeda Pascuali; sons, Carlos Manuel and Carlos Luis Pascuali; daughter, Lorraine Pascuali and grandchildren, Sabrina B. and Megan A. Pascuali, both of League City, Texas and Erick P. and Elaine Portillo, both of Seabrook, Texas. Your guests are invited to share in the Celebration of Life Visitation for Mr. Carlos M. Pascuali from 5:00 p.m. - 7:00 p.m., Friday, September 5th, 2014 at Carnes Funeral Home - Texas City, Texas, 3100 Gulf Freeway, Texas City, Texas 77591. Vigil Services will follow at 7 p.m. Friday, September 5th at Carnes Funeral Home - Texas City. Interment Services are 11:30 a.m., Monday, December 1, 2014 at The Houston National Cemetery...Honors provided by The United States Army Honor Guard.